With seven teams already in port, the remaining five teams have arrived this morning to complete the fleet at Foyle Marina, Derry Londonderry. IchorCoal arrived in just after 0200 after accepting twelfth place a few days ago and making best speed to port. This followed the successful medevac of crew member Chris Drummond on Day 5 of the race, and despite best efforts the team could never catch up with the rest of the fleet. As the team made its way up the Foyle River, Skipper Rich Gould said: "We are now inbound to Derry-Londonderry for our LegenDerry welcome. With the huge gap between ourselves and the rest of the fleet the Race Committee offered us twelfth place and after a team discussion we decided to accept, meaning that we did not have to complete the course extension and were able to make best speed. "Despite the fact that we ended up chasing the fleet in totally different weather, struggling to make miles on them we have had a very enjoyable final ocean crossing. The team have been pushing the boat hard and some brilliant sailing has been had, it’s just almost impossible to jump weather systems. "There are times on the water when the race is not important, when the thoughts of podiums and pennants are instantly dismissed, when a race result pales in to complete insignificance in comparison to a situation that arises. This race had one of those times. "I will walk up the dock in Derry-Londonderry completely content that I made the right decision to turn the boat round. The support that the crew gave me throughout has been invaluable. "Chris, although you are not on board with us in body you are certainly here in spirit, and fear not the whole team will be raising a glass for you in the very near future. IchorOUT!" 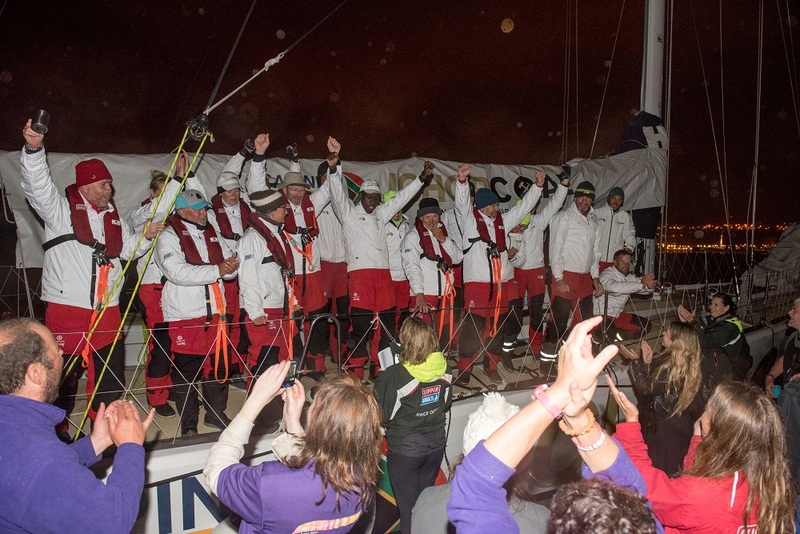 On arrival to port, the team was met by a large welcome party of crew friends from other teams and family members who cheered them proudly into port. Speaking on their race experience, Leg 8 IchorCoal crew member's Kate Broughton and Sara Ashby-Arnold both said it had been well worth the long wait to join the team. "We experienced all sorts of conditions on this leg, and we can be pretty fast when we want to be," says Sara. "Race positions mean nothing however when one of your crew needs assistance. We miss Chris dearly and send our best wishes to him. Looking ahead we know we still have a couple of races left and all have the strong belief that a podium position is very possible so watch this space!" Adding Kate says: "It has been a long time coming but I've loved every second. All the round the worlders and the rest of the crew really made us feel welcome straight away and we've been able to get completely involved on the boat in whatever roles we want to try, We laugh constantly on board and it has been the key to keeping up our our good spirits. This is an incredible team and we're all so proud to be part of it." 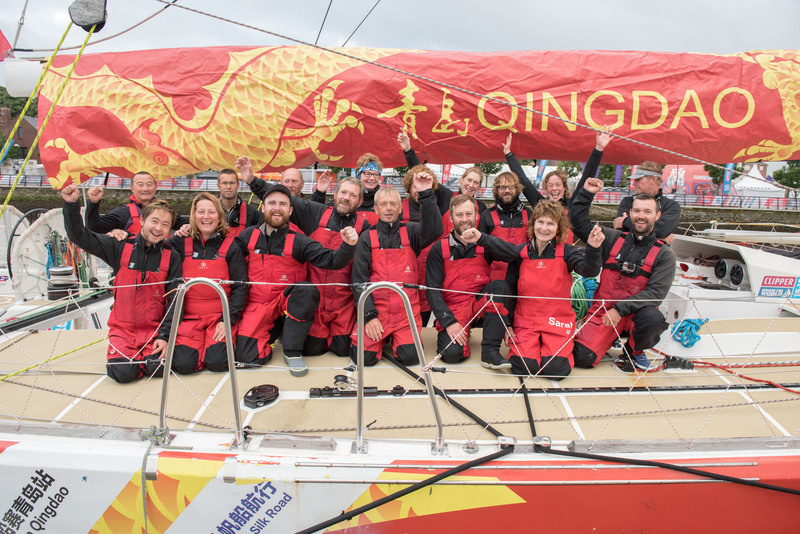 Qingdao crossed the finish line in eighth place at 0117UTC and arriving into Foyle Marina, Skipper Bob Beggs said: "This was a very different race, not so much strong weather this time but lots of tactical stuff, lots of currents and wind shifts yesterday made for a fantastic day with a great finale racing very close with Mission Performance. "The wind changed several times in the day and it was great to hold onto it in the end, the change in weather and tide made a huge difference to the positions - it’s been exciting stuff. It’s always sad when things come to end but it’s been a nice finale crossing our final ocean, we have two good races to come and it’s not over by any means. My social media has been alive with family getting in touch and we are ready to enjoy Derry-Londonderry." After racing over 3,600NM, ninth placed Mission Performance followed just thirteen minutes behind at 0130UTC. 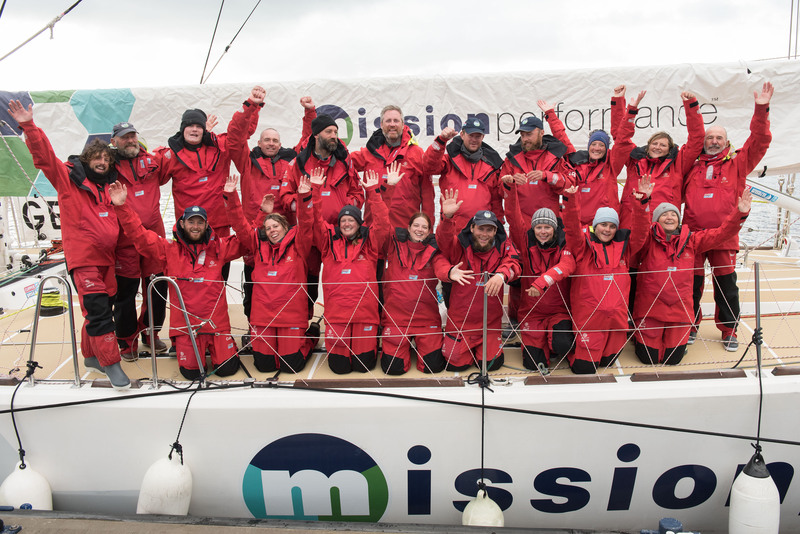 Having made his way up the River Foyle to Derry-Londonderry, Mission Performance Skipper Greg Miller said: "Race 12 the 'LegenDerry Finale' has been a very tough race that has seen many challenges for the Mission Performance Warriors to deal with, from kite repairs to heavy winds. Of course the biggest challenge being the kite repairs in heavy winds! At times we have been underpowered due to the lack of usable kites and at times we have had to be overpowered for the same reason. "The Warriors have worked hard throughout and dealt with the issues as they have arisen. I am immensely proud of what we have achieved on this race. Yes we would have liked a podium, but there is so much more to this race than podium positions. The Clipper Race is a voyage of self- discovery and I believe that everyone has learnt at least one thing about themselves on this race. Lets hope we can carry that forward to the next race. 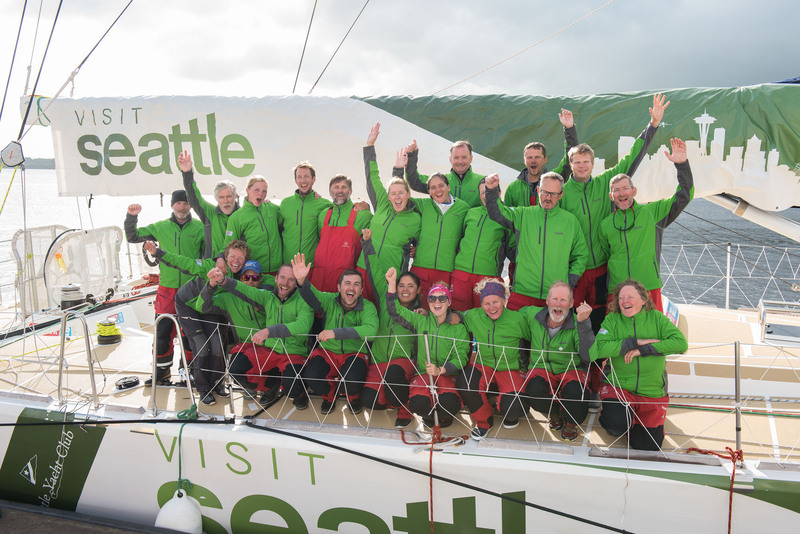 Tenth placed Visit Seattle crossed the finish line at 0353 UTC and Skipper Huw Fernie said: "It's been a great race, everyone has the aches and pains you get from a good ocean crossing, we all stink, fruit is a memory and vegetables are not how I remember them. It was a shame to get caught out in a couple of wind holes that were so local we watched others sail off; never to be seen again. But that's ocean racing, it was fun regardless and after a few days on land I think we'd almost all want to do it again. I think everyone is ready to have a break in Derry-Londonderry and find out what all the fuss is about." 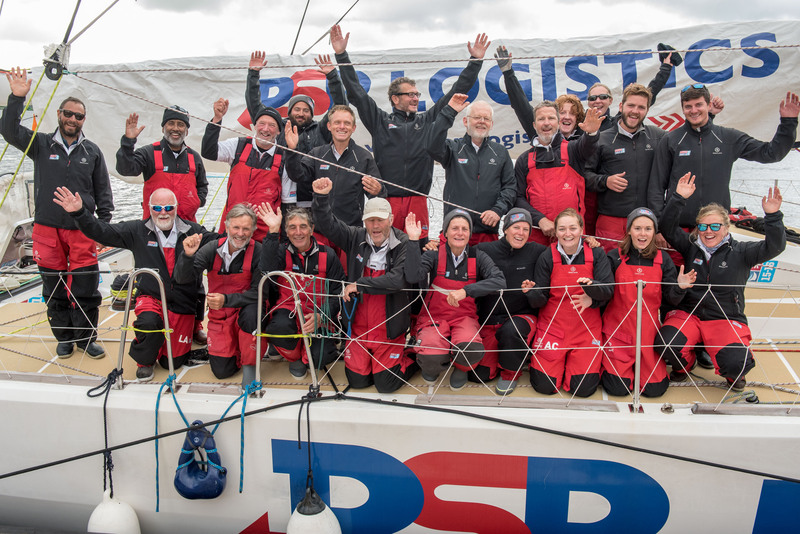 PSP Logistics Skipper Max Stunell says: "It was a difficult race but it was good with lots of tactics and varied conditions - we have had it all really!" The team arrived into the Foyle Marina this morning to complete the fleet, having accepted eleventh place to receive two points. "We are looking forward to sampling Derry-Londonderry’s hospitality," he adds. The fleet will be berthed at the Foyle Marina until July 17 when it departs for the penultimate race of the 14-stage series, to Den Helder, the Netherlands. From food events to live music and a continental market, click here to read more about what is on offer at the Foyle Maritime Festival during the special Derry-Londonderry stopover.